Durango Muffler & Brake Automotive has served the Durango area since 1974, but our business began in 1952. We started as a brake repair shop and evolved into an “everything” auto repair shop over the years. Now we’re a third generation family-owned and operated business, with two generations—Tony Cleveland Sr. and Tony Cleveland Jr. (“TJ”)—working in the shop every day. The father-son team carries forward a 40+ year tradition of personal service and high quality auto repair. At Durango Muffler & Brake Automotive, we can do everything for your vehicle, from complex diagnostics to installing accessories to replacing your muffler (our signature), and everything in between. Our services include alignments, shocks, frontend work, emissions testing, using programmers and downloading devices for diagnostics and computer fixes, and custom trailer hitches. We also work with 4” and 5” diesel systems. The general auto repair services we offer are in addition to the exhaust and brake work we’re known for in Durango. Our exhaust specialists are still the best when it comes to custom exhaust work, standard replacements, cool air intake systems, and stainless steel and chrome accessories. Whenever you want a performance upgrade, you can rest assured it will be done by an exhaust expert at Durango Muffler & Brake Automotive. Call our shop today to schedule your next automotive service, repair, or upgrade! You can be part of Durango auto repair history, and the future as well! I am the 3rd generation owner of Durango Muffler and Brake. I started sweeping the floors when I was very little and grew to love working on cars and trucks. When I was 16 I started helping my Dad here at the shop during the summer and after school. Growing up working alongside my Grandfather and Father I learned their strong family values and how to carry that over to our customers. After being a technician for over 10 years and earning my master ASE certification I moved to Service adviser, then manger in 2012. I married my Beautiful in 2010 and we had our precious daughter on 4/15/16 we enjoy hunting together and going to the lake and in the mountains as a family. I as an owner of a local 3rd generation automotive shop I strive to take care of our customers and my community as if they were my own family . Tony Cleveland grew up working alongside his father in California at their family's Auto Shop. When they moved to Durango in 1974 and opened Durango Muffler and Brake. Tony ran the business through high school when his father was in a car accident and could not work for over a year to take care of his family. 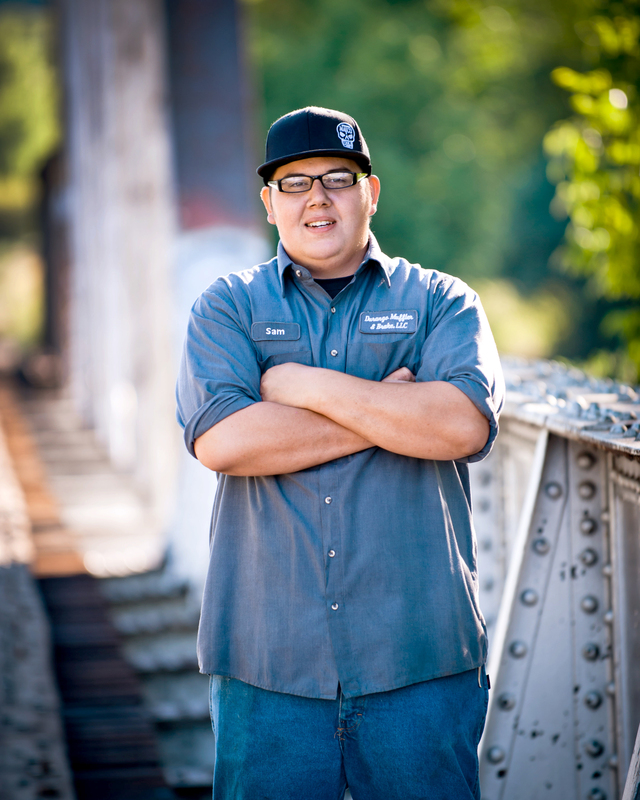 After college Tony came home to run the business and allow his father to retire in 1990; at that point tony started teaching TJ everything he knew.Tony has to be one of the best custom exhaust men in the country. Tony and wife Abi have been married for over 32 years with daughter Katie and son TJ and 3 granddaughters.Tony enjoys Hunting, Fishing, Boating, and Riding ATVs. Tony has drilled family values in to his children and employees to keep the old fashion ways alive, family and respect and help thy neighbor. Chris has been with our Team since February 2015 he came on as a Service Advisor and now has advanced to Shop manager. Chris has over 20 years' experience in management and over 10 years of marketing. Chris continues to study and sharpen his management skills. Chris enjoys building a good relationship with our customers through communication. Chris loves the fact that Durango Muffler and Brake is a family owned and operated and stands behind their family values. Chris and his wife have been married for over 16 years and have 3 daughters. He and his family enjoy boating and donating time at their Church. 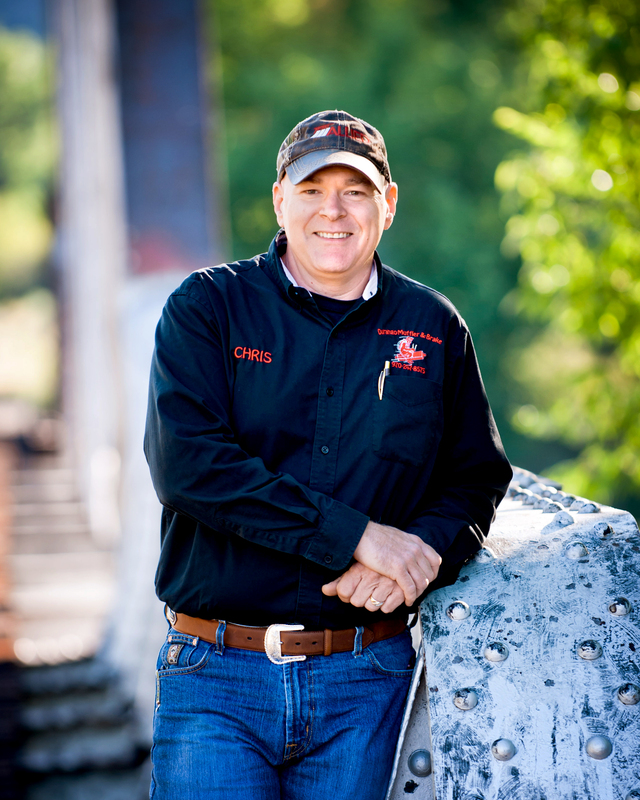 Chris enjoys hunting, fishing, playing guitar, and personal development. Chris is always eager to answer any questions you might have during your visit with Durango Muffler and Brake. Bryan Has been with Durango Muffler and Brake snice 2002. 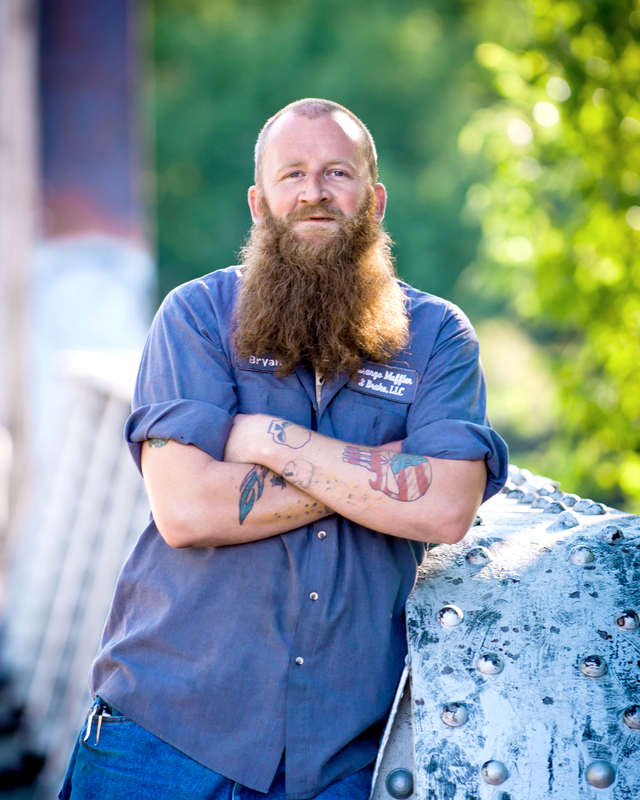 Bryan started hear right out of High School, in the last 14 years Bryan has earned many certifications including 7.3-6.0-6.4-6.7 ford diesel and 5.9-6.7 Dodge diesel along with many others. 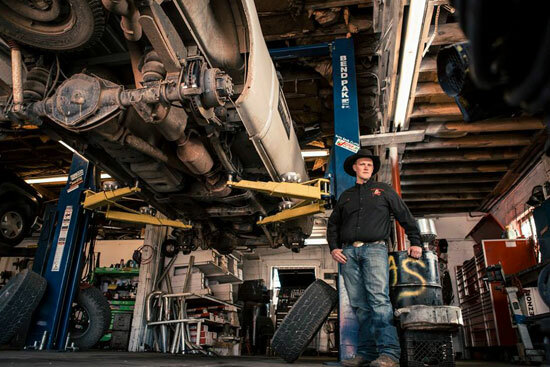 Bryan enjoys working on most anything Diesel Engines, Suspension, and Fabrication are his favorite. Bryan grew up in his father shop helping him so you could say he has done this his whole life. 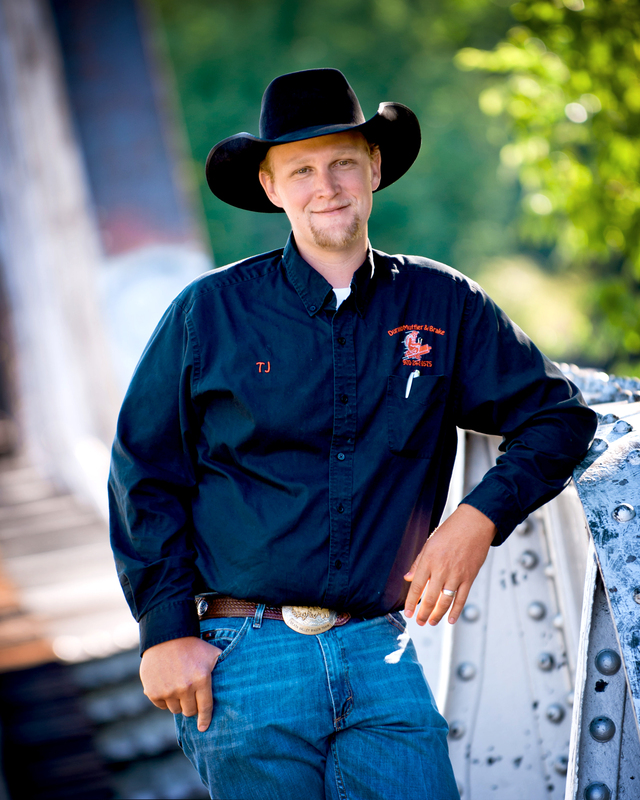 Bryan enjoys Target shooting, Demolition Derby, he and his wife enjoy boating and Four wheeling together. Bryan has a very big heat and will go the extra mile to not only take care of your car but do the little extra to make sure that you are happy. Sam Came to Durango Muffler And Brake in September 2015. Sam started his career also at a young age. 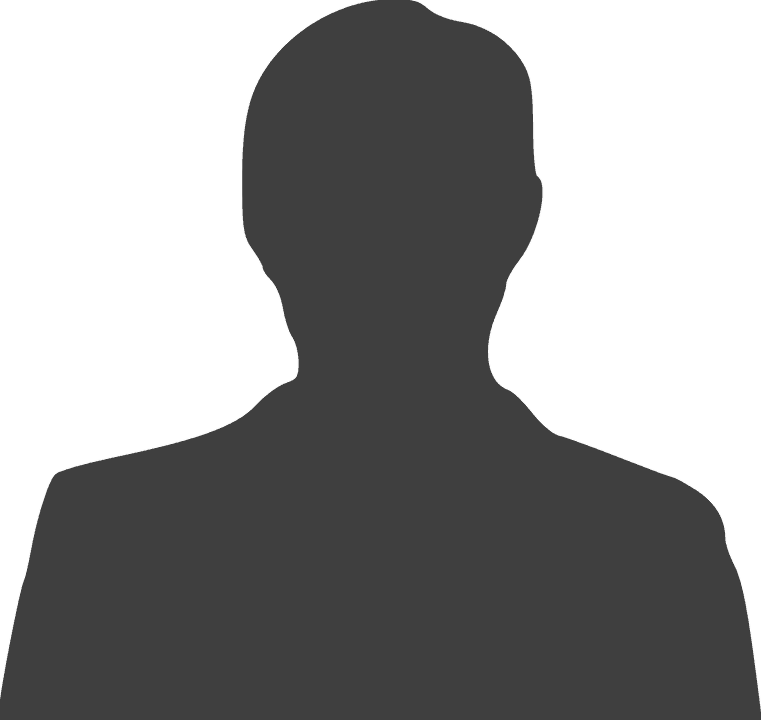 Sam has 7 years' experience in working on Diesel Machinery 5 years in suspension and alignments. There is nothing that Sam will not work on. He really enjoys doing performance up grades. Has many certifications including 6.7 ford diesel and alignments and more. 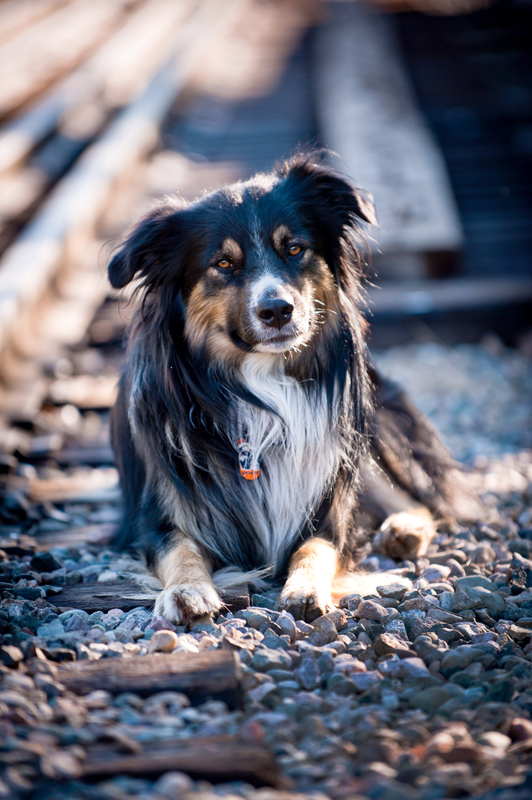 He and his wife love spending time with their daughter traveling to see new things, camping, and botting. Sam loves to fix things and solve the hardest of problems.